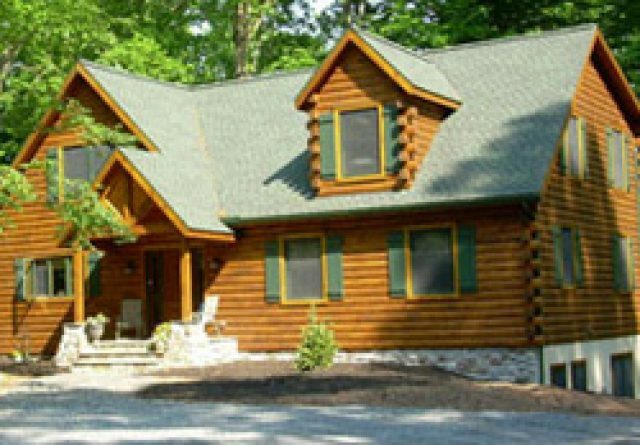 Are log homes more expensive to insure? 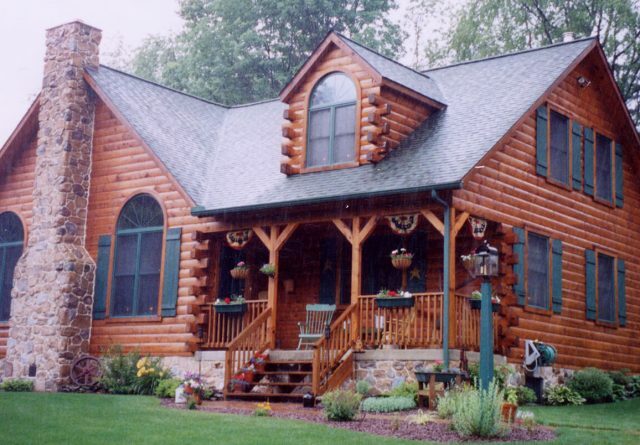 Log home insurance costs vary for different parts of the state. You would need to check with a local insurance company. 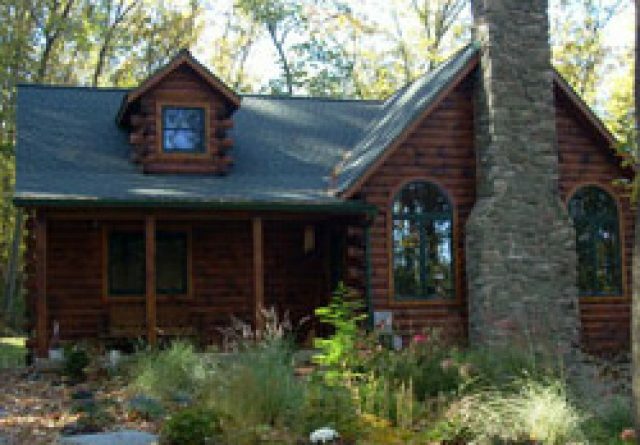 One of the benefits of building a log home is the natural insulation qualities of the solid wood wall, known as thermal mass. 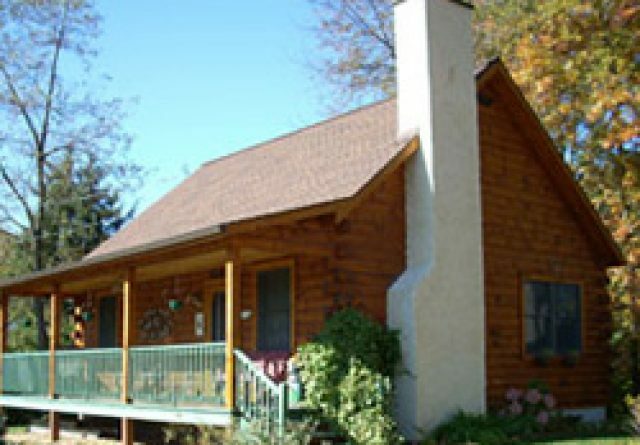 Log homes are energy efficient, in fact a study that was done by the National Bureau of standards compared a stick framed wall to a solid log wall. In practically every season the solid log wall out preformed the stick framed wall in energy efficiency. Overall the solid log wall preformed about 38% better. 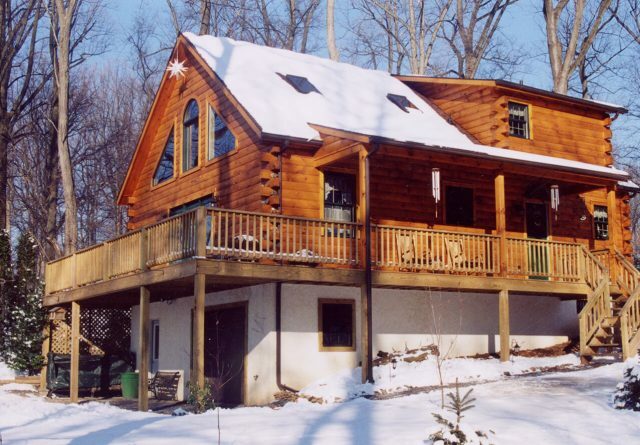 Log homes rely on the solid log walls, known as “thermal mass”. This type of wall does not require any additional insulation, but it can be done. 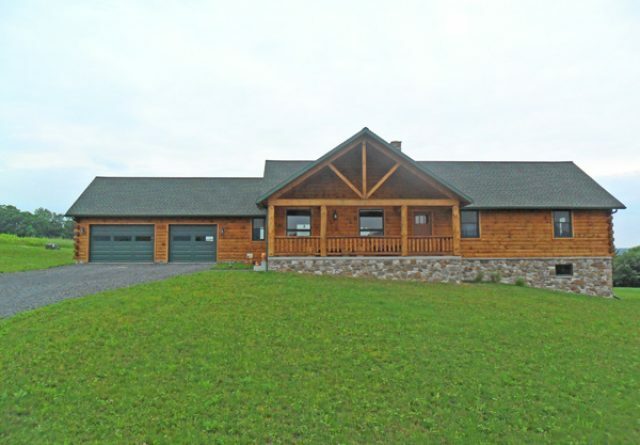 Are log homes high maintenance? 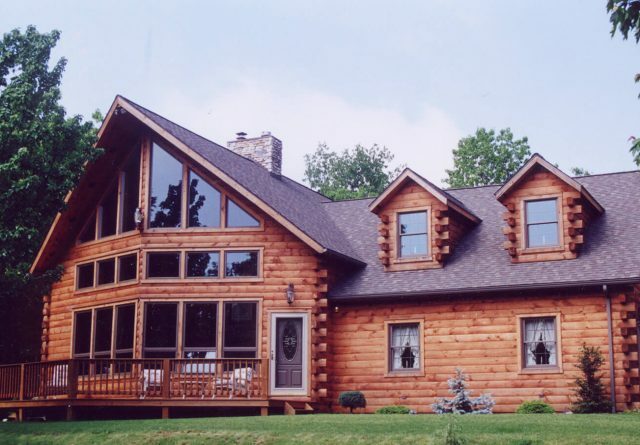 Log homes do not need to be high maintenance if you follow a few simple steps. Hire a reputable exterminator to treat the house twice a year. Once a year do a visual inspection of the exterior for areas that may need to be re-caulked or touched up. 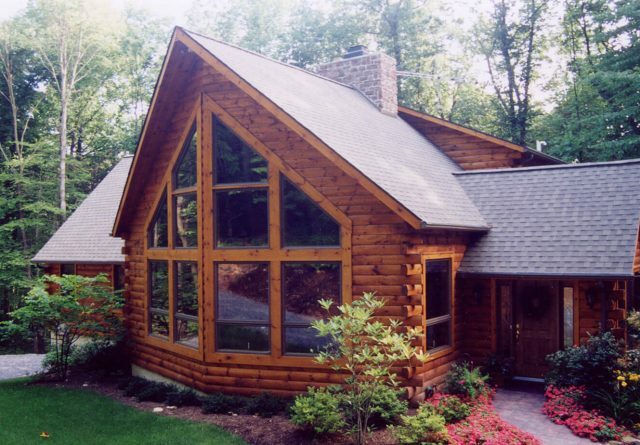 A majority of our homes use white pine logs or log siding. We also offer white cedar and red pine. 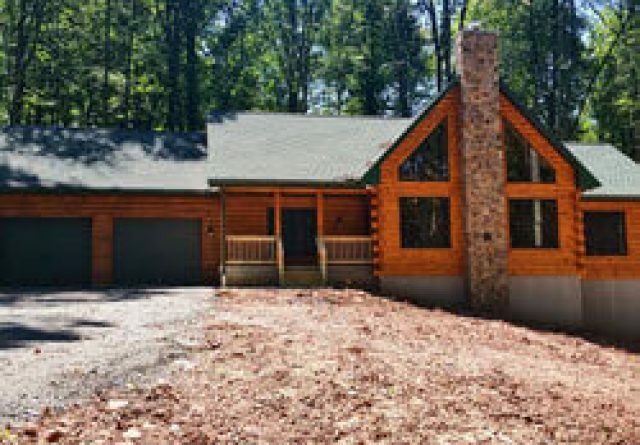 Are fires a concern in log homes? 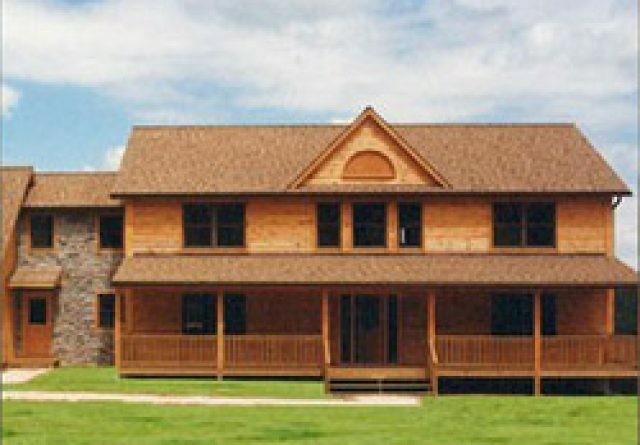 Log homes are no greater risk for a fire than any other traditional home. An interesting fact is: In a fire a wooden beam will maintain its strength much longer than a steel beam, therefore giving you more time to get out. How are the logs treated? After the home is washed gently with a pressure washer, the logs are treated with a spray on borate and then stained. 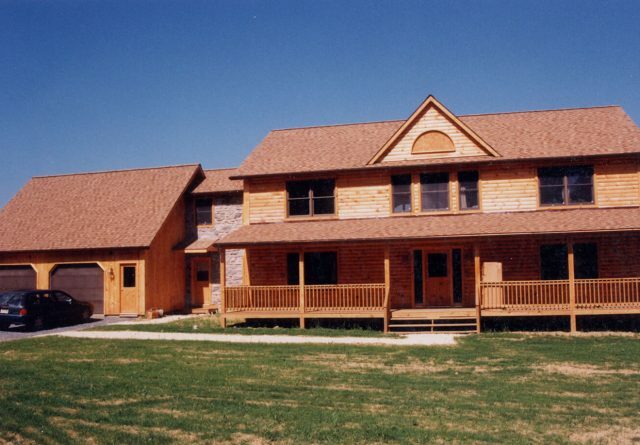 When building with Gingrich Log Homes, our goal is to complete your dream home in six months after breaking ground. 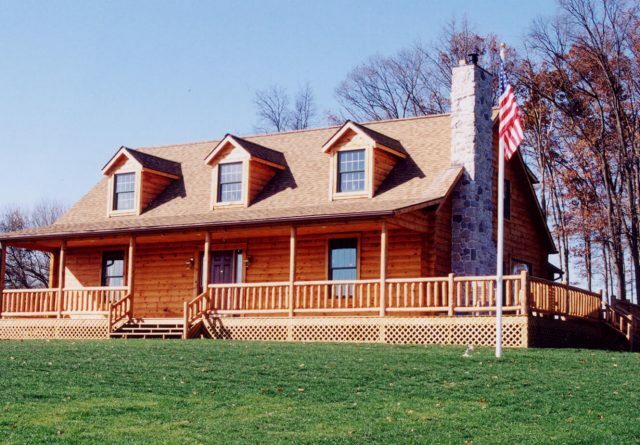 What comes with the log home building package? 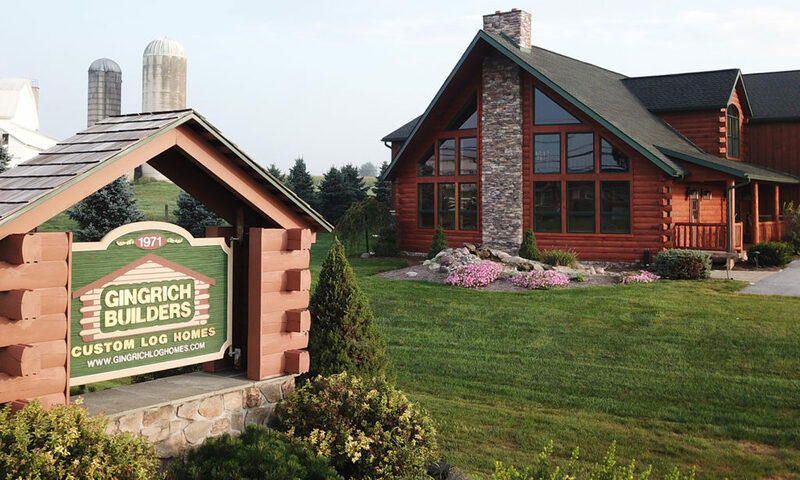 Gingrich Log Homes turn-key package includes excavation of foundation through construction of the log home (with our own crews), and finishing out everything including floor covering, cabinets and tops, and painting and staining. Also offering variations of shell packages. 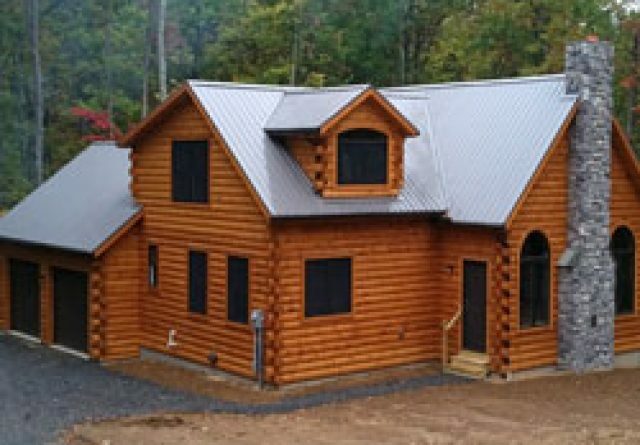 Why are log homes better than a regular house? 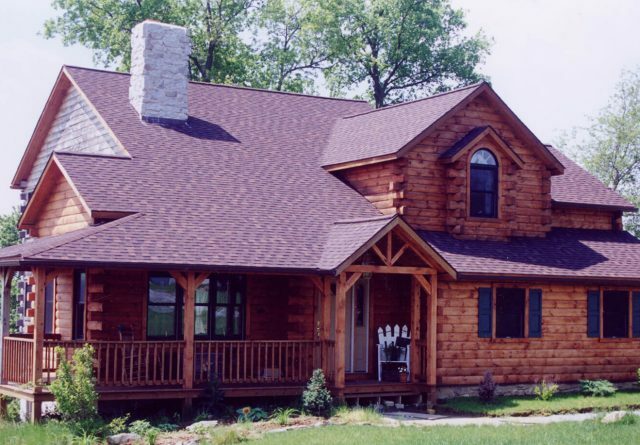 Log homes are better than traditional homes mainly because they are constructed of natural solid wood, one of the greatest renewable resources on the planet.